For the second year in a row, IT Solutions volunteered with Habitat for Humanity of Montgomery County (HFHMC), supporting their mission to eliminate poverty housing. Habitat constructs simple, affordable homes and empowers hardworking, low-income families to become homeowners by providing no-interest mortgages. Habitat families are given the opportunity to build equity, gain stability, and enhance our community’s quality of life. On Thursday Oct. 11th and Friday, Oct. 12th, IT Solutions staff exchanged their computers and phones for hammers and hard hats to help with the building of another new home construction project on Linden Ave in the North Hills section of Upper Dublin Township. The site was directly next to the home they worked on in 2011 - which is currently occupied by a deserving Habitat family. As part of the Upper Dublin Neighborhood Revitalization project, most of the ITS staff split up over the course of the two full days hammering, caulking, and insulating the frame for a single structure twin home. The home consists of two units - or "twins" - which have been assigned to two families, respectively. Each unit has three bedrooms and one-bath and is approximately 1,100 square feet. These homes will be the first in the Upper Dublin Revitalization project to include the highest Energy Star rating for efficiency. 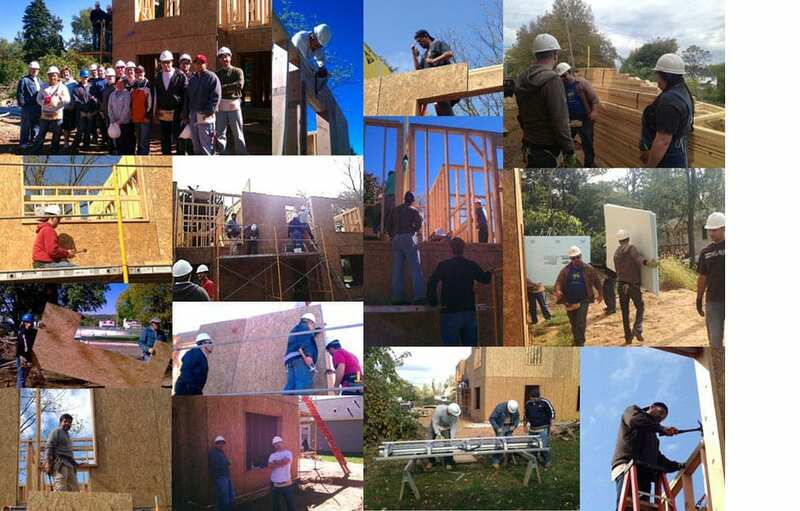 By dedicating company time, funds and voluntary efforts, IT Solutions was able to help supply materials and the labor needed to assist HFHMC and its mission to eliminate poverty housing. "We have found our collaboration with Habitat to be extremely rewarding," said Ted Swanson, CEO of IT Solutions. "We’re pleased to make a difference for the future home owners, the local community and the well-being of our neighbors. We look forward to continuing this commitment to Habitat for years to come."